On September 17, 1862, the Army of the Potomac, attempting to blunt Robert E. Lee’s invasion of Maryland, clashed with the Army of Northern Virginia near the small town of Sharpsburg. 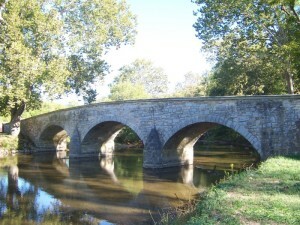 The fighting that ensued would be called the Battle of Antietam by the North and the Battle of Sharpsburg by the South. The fighting was so intense that it became the single most bloody day of not only the Civil War, but in American history. To one observer, the carnage that produced 23,000 casualties was so brutal that it appeared as if the “entire landscape had turned red”. In late September, 2005, Tom Vandermark visited the Antietam National Battlefield and took these pictures.